When I’m in Vegas next week meandering around the Design Center (because where else would I be—obviously), I plan to make a stop at Crysellas, an exhibitor new to the JCK show. The brand, helmed by two sisters hailing from Istanbul, features a variety of accessible, pretty little things. I’ve got my eye on the Verbena ring in particular—isn’t it just the peppiest thing you’ve ever seen? 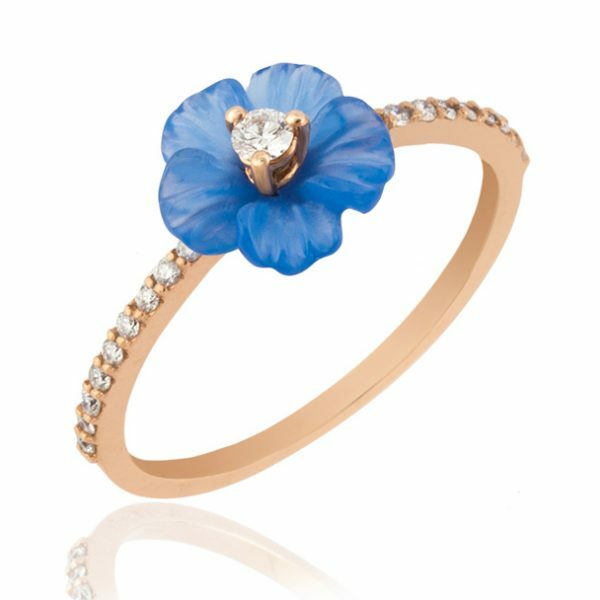 The carved blue agate flower is enchanting, and the diamonds, well: Who doesn’t love diamonds? This would be such a joyous piece to wear each day—and how great would this be for a bride’s “something blue”? I’m looking forward to everything else that will be on display at Crysellas, and this little beauty is a very positive start.